Arun Venugopal is a reporter who focuses on issues of race and immigration. He also serves as a regular host of the station's Midday program. 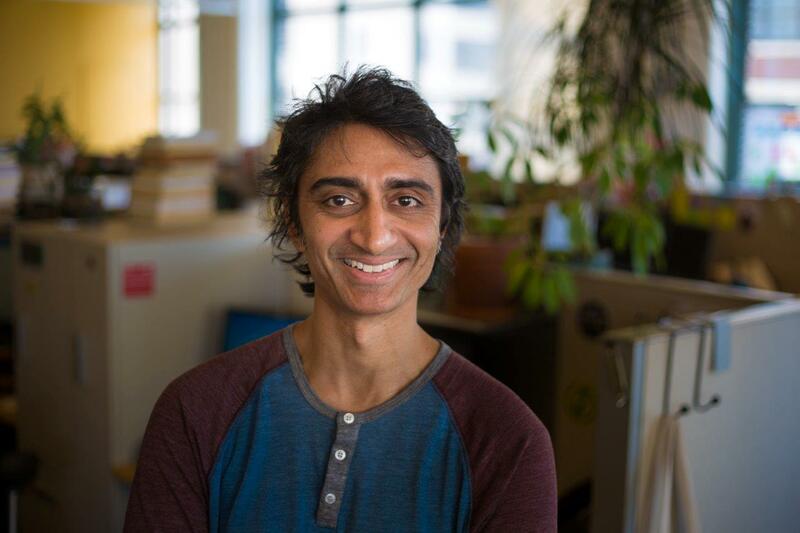 Arun was the creator and host of Micropolis, a series about race and identity. He is a contributor to NPR's Morning Edition and All Things Considered. He has appeared on PBS Newshour, On the Media and Studio 360, and has been published in The Guardian, The Wall Street Journal and Salon. He also frequently serves as an emcee and moderator of panel discussions on race, religion and identity issues. He lives with his family in Queens. Read Arun's latest reporting on Gothamist. Members of a Mahwah temple said they're concerned the man facing charges is a white supremacist, and they urged authorities not to give him a plea deal. Immigrants today are far more likely to be skilled and speak English than they were a century ago. The class delves into stereotypes in order to give participants a greater sense of cultural literacy. Yemeni-owned businesses are hoping for a change in way the paper covers Muslims, including Minn. Congresswoman Ilhan Omar. What happens when hate crimes are not committed by angry white men. We know that communities of color and other marginalized groups are on the receiving end of hate, but how should we react when they're the accused? Muslim and Arab American theater are having a moment. But the communities at the hearts of these shows fear they will only garner attention if they are about that identity. There are questions about Mayor Catherine Pugh's self-published kids book, and whether or not buyers were given access to government influence. Houston, Texas is the heart of the petrochemical industry. But are chemical fires and explosions that send toxic fumes into the air just the cost of doing business? Voters in Turkey dealt President Recep Tayyip Erdogan's Justice and Development Party, AKP, a surprise defeat this week. Should we honor the calls of those who want to 'cancel' the work of Michael Jackson and other disgraced artists? Or is art too important to be policed by the crowd? A surge in the immigrant population has helped redefine the city's food scene and led to a golden age of Chinese regional cuisine. The real-life legal proceedings that threatened to end in a Filipino immigrant's deportation are dramatized in "The Courtroom." Drawing connections between what the U.S. did in the 1940s and what's happening in America right now. Watch as former inmates who survived solitary confinement share their experiences in story-slam performances and conversation. Hosted by Arun Venugopal. Watch as WNYC's Arun Venugopal explores play with Kyra Gaunt, award-winning choreographer Camille A. Brown and National Double Dutch Champs, the Honey Bees. An evening of conversation, hand-clapping and Double Dutch at The Greene Space. Immigrant communities and candidates were at the center of the Democratic takeover of the House, as well as local and state races. Re-purposed Bollywood songs, Asian-American celebrities, clever bilingual wordplay. Immigrant communities are pulling out all the stops for Election Day.